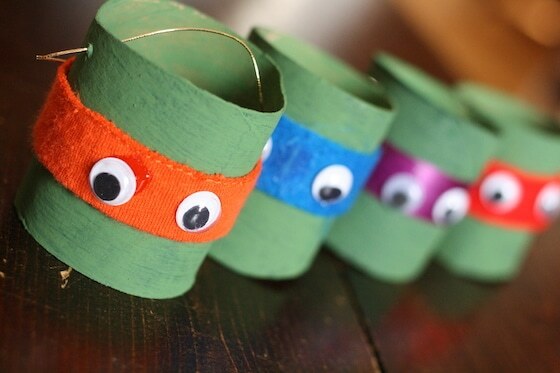 Home » Crafts for kids » Holiday Crafts » Christmas Crafts for Kids » Teenage Mutant Ninja Turtle Ornaments – With Toilet Paper Rolls! 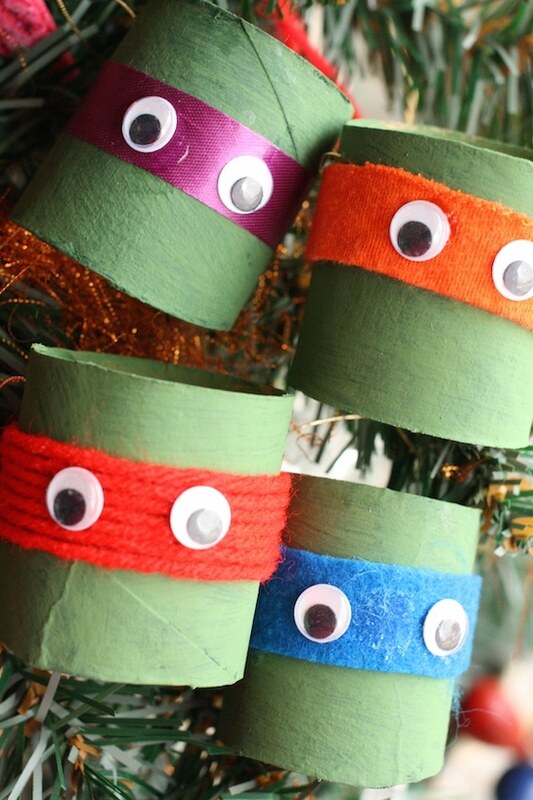 Teenage Mutant Ninja Turtle Ornaments – With Toilet Paper Rolls! 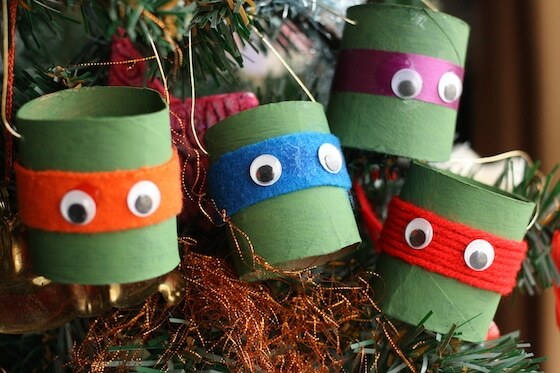 Make a simple set of Teenage Mutant Ninja Turtle Ornaments with a few toilet paper rolls and some fabric scraps! Is it just me or are Teenage Mutant Ninja Turtles all the rage again? Every time I turn around, there’s a new TMNT craft or activity in my pinterest and Facebook feed, and if the number of re-pins and re-shares on these posts are any indication, people are nuts are nuts about Ninja Turtles again! 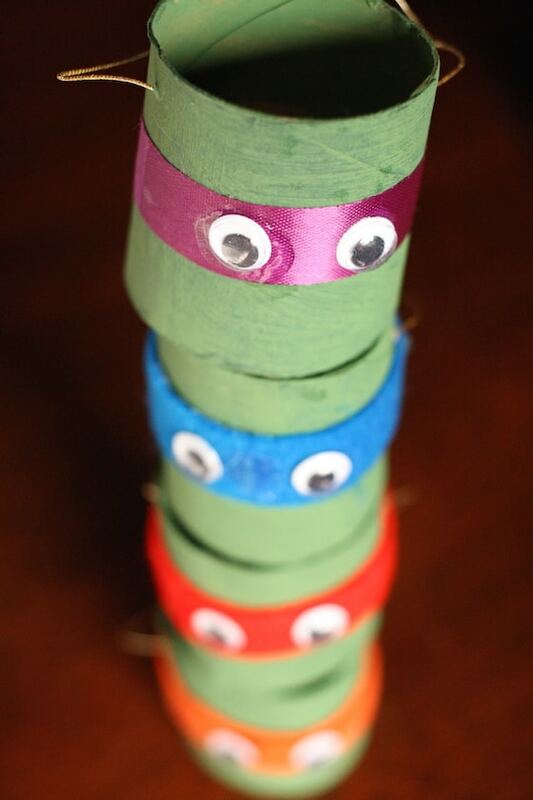 The hooligans love Ninja Turtles too, so I thought it would be fun to make a TMNT craft of our own. With Christmas right around the corner, ornaments came to mind. I’ve seen some neat Ninja Turtle ornaments made from Christmas balls, but we didn’t have any of those green balls on hand, so I had to put on my thinking cap and come up with an alternative. Toilet rolls!! Yep! 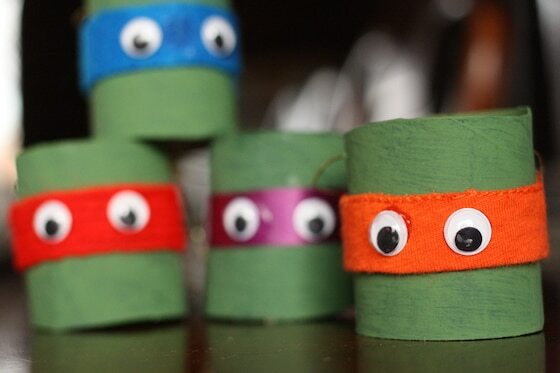 We made an adorable set of Teenage Mutant Ninja Turtle ornaments using cardboard rolls and a few scraps that we already had around the house! Behold our toilet roll Ninjas! These guys just make my heart happy. Look at them. Aren’t they just the cutest? I love them. I couldn’t stop taking pictures of them. Forgive me. 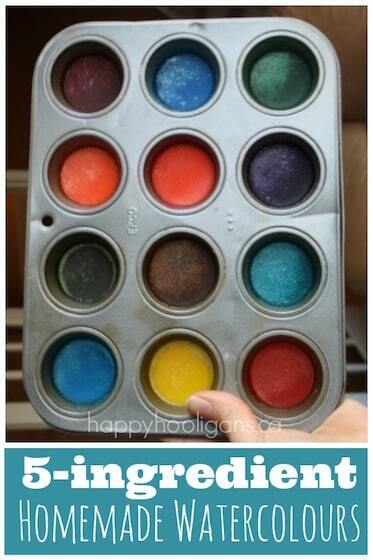 As long as you have googly eyes and green paint on hand, you’re going to be able to make these because there are lots of options when it comes to your coloured strip. 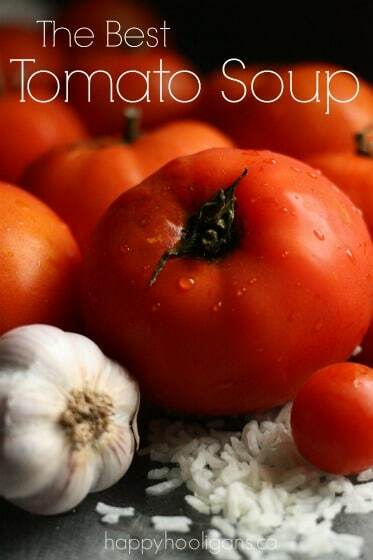 You can pretty much use ANYthing you have on hand. I’ve used 4 different materials to make my turtles (purple ribbon, blue felt, red yarn and the hem of an old orange tee shirt). If you put your thinking cap on, I’ll be you can think of even more. 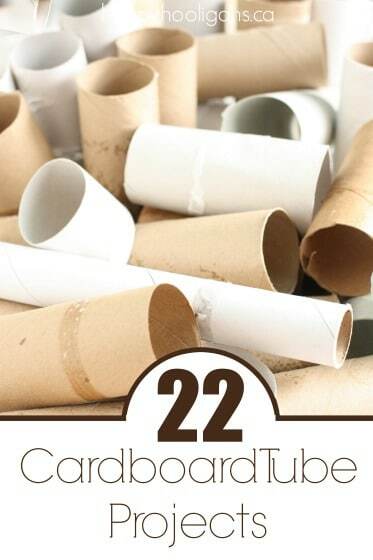 Cut your 1 tubes in half. 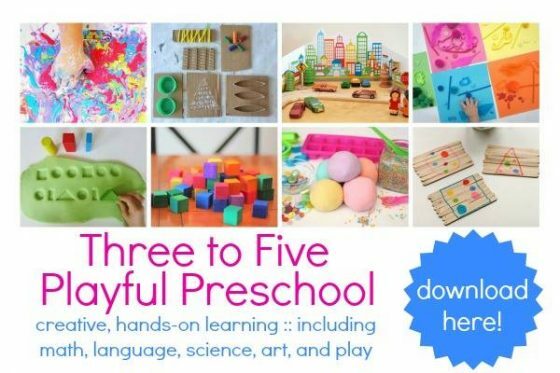 Voila – 4 turtle heads. 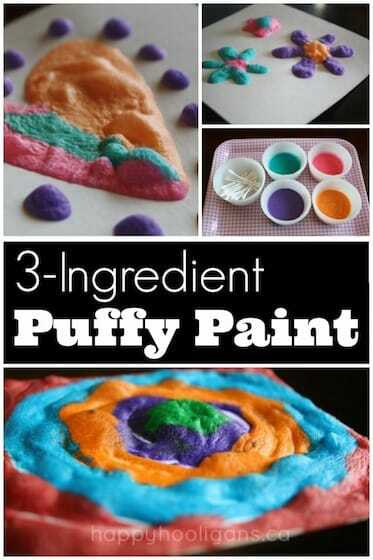 Paint your turtle heads green, and glue a swatch of colour around. You can even tape that swatch in place if you’re running low on glue. 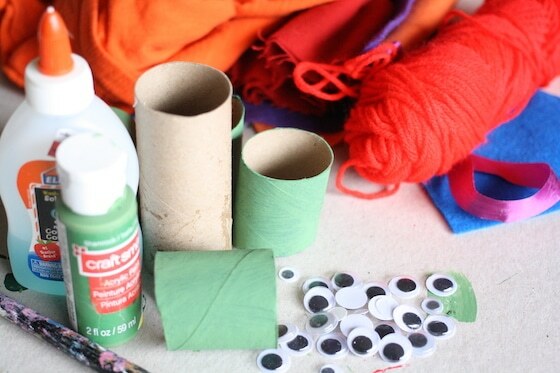 Glue your eyes in place and poke a length of cording through the top to form a loop for hanging. Oh my. They’re too much, aren’t they? 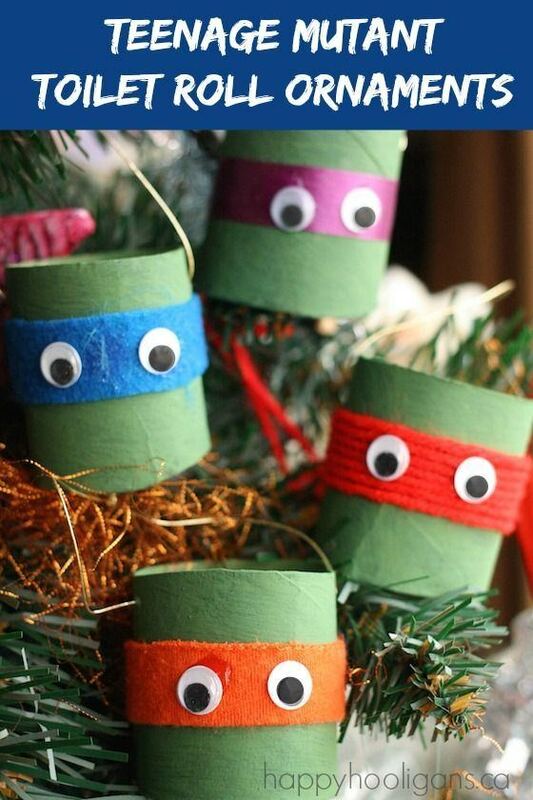 Now find the the perfect spot on your Christmas tree, and stand back and admire your adorable TMNT toilet rolls! Cool craft. My youngest grandson loves the Ninja Turtles. I have all the supplies but the Washi tape. Guess I will need to have his help to complete the project! I will do at least do one prior to his arrival Friday after the house calms down. 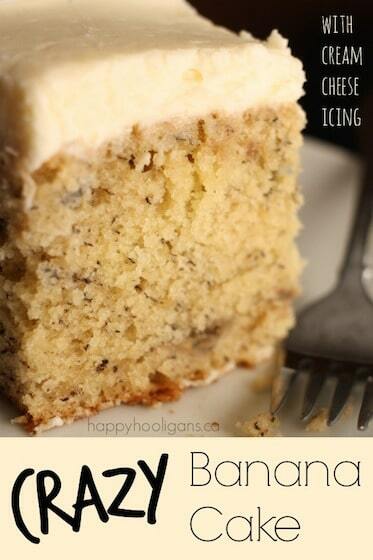 Jackie- these are ADORABLE and so easy!!! Love it! 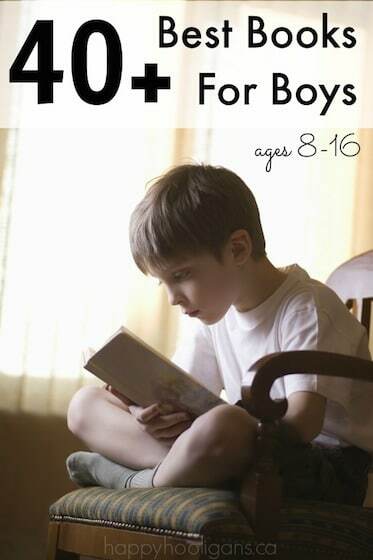 Thanks for this cute idea! My three year old had fun making these guys, and hanging them on our Christmas tree. Jackie, these Ninja Turtles are AWESOME!!! My son loves TMNT, these ornaments are just the cutest! !